Flat Coated Retreiver – In early times, the retrieving dog was used to retrieve fish and other objects from the water for fishermen. 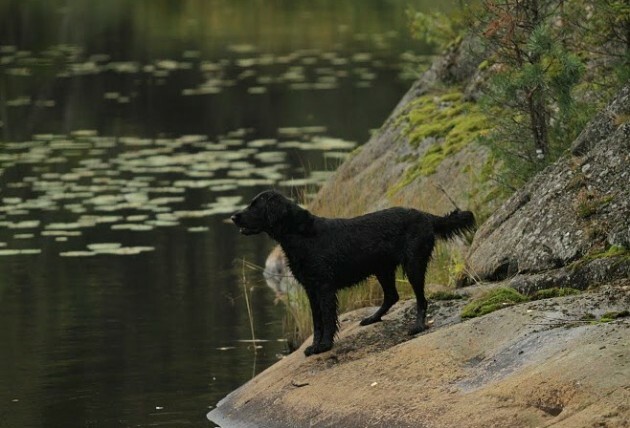 Cod fisheries in Newfoundland particularly liked these types of dogs, and some of the most popular breeds in the 19th century were the Labrador (different from the present day Labrador retriever) and many different sizes of the Newfoundland breed. 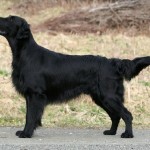 The Flat-Coated Retriever breed standard calls for males to be 23–24.5 inches (58–62 cm) tall at the withers and for females to be 22–23.5 inches (56–60 cm), with a recommended weight of 55–75 lb (24–34 kg). 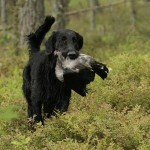 Flat-Coated Retrievers have strong muscular jaws and a relatively long muzzle to allow for the carrying of birds and upland game. Their head is unique to the breed and is described as being “of one piece” with a minimal stop and a backskull of approximately the same length as the muzzle. They have almond shaped dark brown eyes that have an intelligent, friendly expression. The ears are pendant, relatively small and lie close to the head. The occiput (the bone at the back of the skull) is not to be accentuated (as it is in setters, for example) with the head flowing smoothly into a well-arched neck. The topline is strong and straight with a well feathered tail of moderate length held straight off the back. 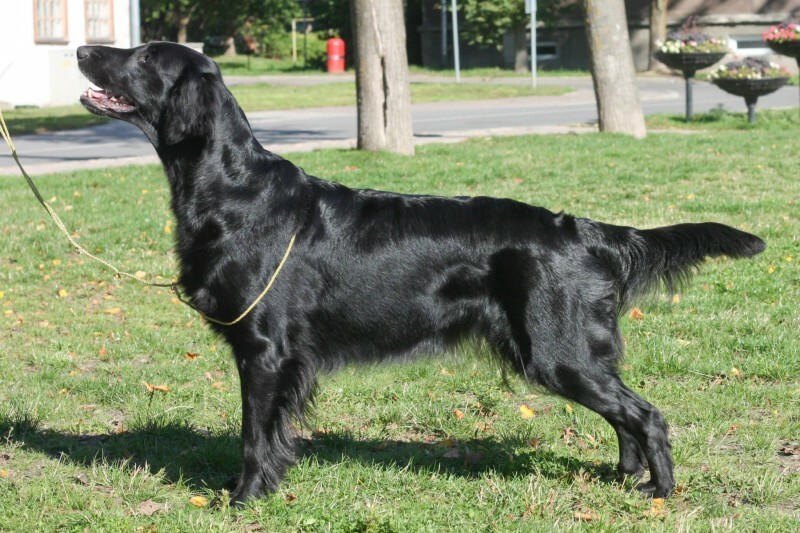 Flat-coats should be well angulated front and rear, allowing for open, effortless movement. 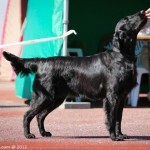 They are lighter, racier and more elegant in appearance than the other retriever breeds. 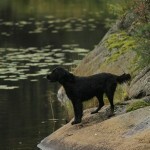 Coat The Flat-coat’s colour is either solid black or solid liver (a deep, rich brown), more commonly the former. Occurring rarely is a coat colour of solid yellow, but this is a disqualification under the conformation breed standard. 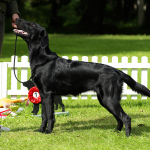 While these yellow or cream coloured dogs cannot compete in conformation shows, they can compete in other activities such as field, agility and obedience trials. The single coat (there is no undercoat) is moderate in length, dense, and lustrous; ideally it should lie flat and straight, but a slight wave is permissible. Body coat is of moderate length with longer feathering on the backs of the legs, chest, under body, tail and feet. 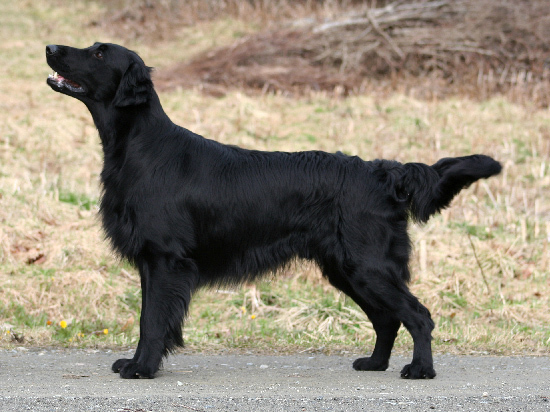 Black is the most common colour but Flat-coats also come in liver (dark brown). 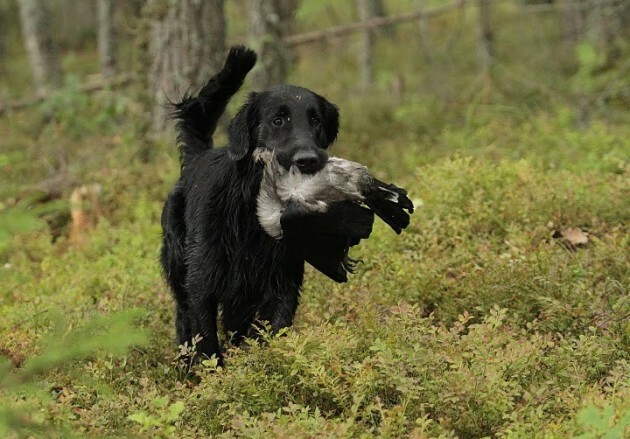 Originating in the mid-19th century in England, the Flat-Coated Retriever gained popularity as a gamekeeper’s dog. Part of its ancestry is thought to have come from stock imported from North America from the now extinct St. John’s Water Dog, however this is unverifiable. It is thought that Canadian seafarers brought Newfoundlands to British ports and that they factored into the ancestry of the Flat-coat. 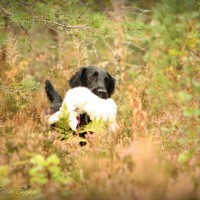 It is thought that Collie-type dogs were added to increase the breed’s trainibility along with the Newfoundland for strength and Setter blood for enhanced scenting ability. The first examples of the breed were introduced around 1860, but the final type was only established twenty years later. 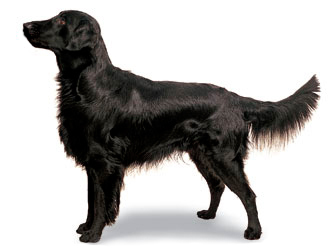 After its introduction into the U.S., the Flat-coat began to quickly gain in popularity as a gundog, and from 1873 when the breed became a “stable type” according to the American Kennel Club until 1915 when it was officially recognised as a breed, the number of Flat-coats grew rapidly. 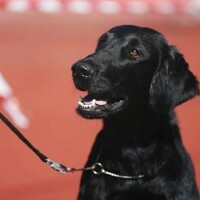 However, soon after, the popularity of the Flat-coat began to decrease, eclipsed by the Golden Retriever, which was actually bred in part from the Flat-coat, along with other breeds. By the end of World War II, there were so few Flat-coats that the breed’s survival was uncertain. However, beginning in the 1960s, careful breeding brought the population back and the breed gained in popularity again, for both the sport of conformation showing, and as a companion pet. 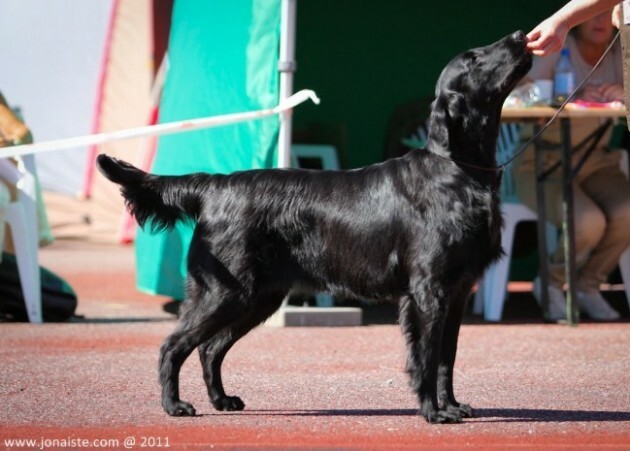 Today, the Flat-coat enjoys a modest popularity and is moving ahead as a breed through attentive breeding for the conformation, health, multi-purpose talent and exceptional temperament that are its hallmarks. It has yet to return in substantial numbers to field competition. Flat-coat owners were delighted to see Almanza Far and Flyg (a.k.a. Simon), from Oslo, Norway, win the Gundog Group at Crufts in 2007. 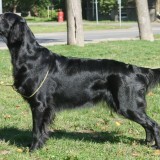 Before that in 2003 a Swedish Flat-coat “Inkwells Named Shadow” had also won the Gundog Group. 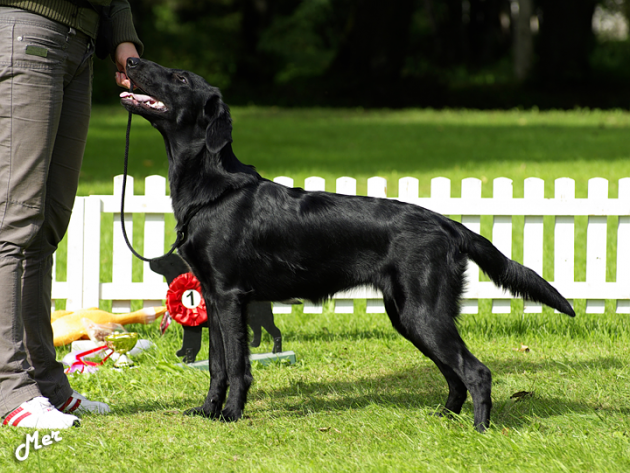 The last UK Flatcoat to win the Gundog Group at Crufts was “Sh Ch Gayplume Dream-maker” in 2002. 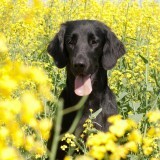 The only Flatcoat to win Best in Show at Crufts was Shargleam Blackcap in 1980. 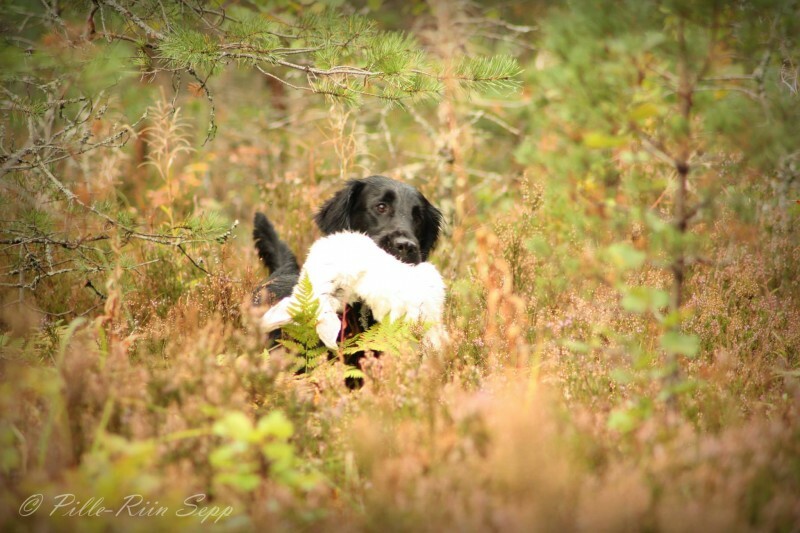 These wins have contributed to the breed’s popularity in Europe and the United Kingdom. Regular tests and clearances for hereditary joint conditions such as hip dysplasia and eye conditions such as progressive retinal atrophy and glaucoma should be conducted by breeders on any dogs used for breeding. Occasionally epilepsy is also seen in the breed. 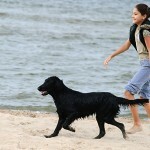 Flat-coats have a higher risk of cancer than most dogs. 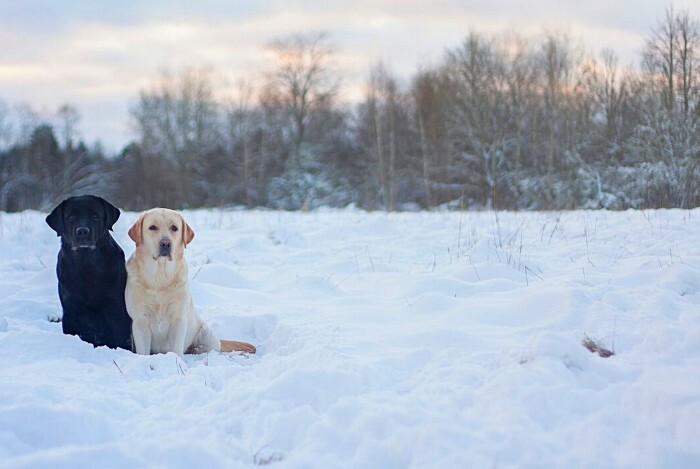 Hemangiosarcoma, fibrosarcoma, osteosarcoma and malignant histiocytosis are particularly devastating, and occur at higher rates in Flat-coated Retrievers than in many other breeds. 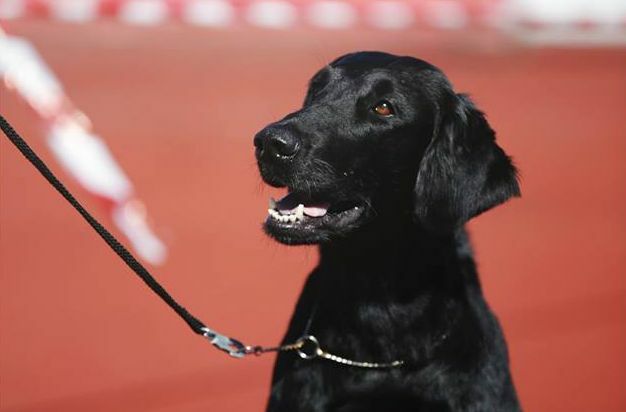 According to studies sponsored by the Flat Coated Retriever Society of America (FCRSA), the average lifespan of the Flat-coated Retriever is only about 10 years, with a high percentage of deaths due to cancer. 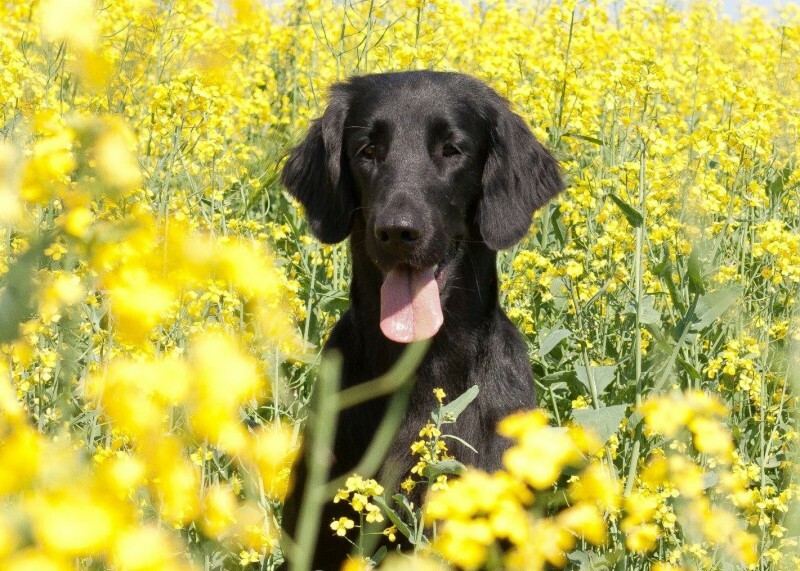 The FCRSA sponsors many university cancer studies and breeders have benefited from increased information on cancer in Flat-coats to reduce the incidence of cancer in future generations. 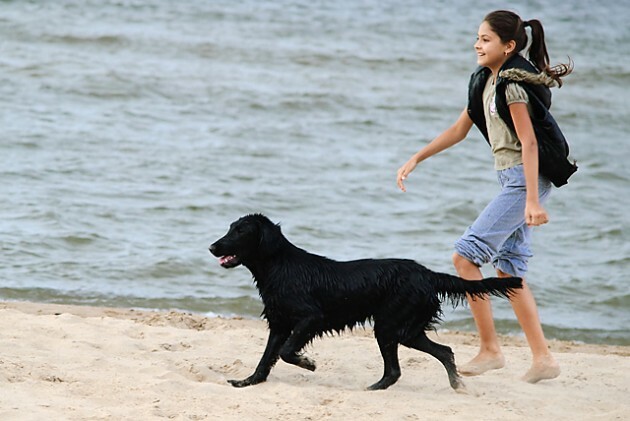 Flat-coats have a very low rate of hip dysplasia and luxating patellas compared to other medium-sized breeds; the Orthopedic Foundation for Animals (OFA) statistics consistently show a rate of hip dysplasia in the breed of less than 3%. In 1997 FCRSA health survey, 4.2% of males and 3.2% of females had been diagnosed with luxating patellas.